or help you reach more people than you could working 1-1? 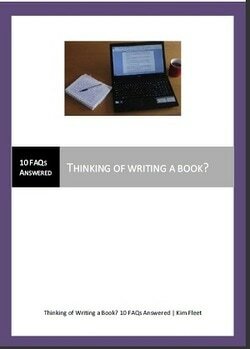 ​Perhaps you've written a series of blog posts and are wondering how to turn them into a book, but don't know how. ​Or are you confused by your publishing options? Self-publishing or traditional publishing? E-book or paperback? Which is right for you? I'm an accredited coach and have over 30 years' writing and publishing experience. For a free 20 minute consultation, email me at info@kimfleet.com and tell me a bit about you and what you'd like to achieve by writing a book.